Warehouse Flooring in Paragould, AR offers residential and commercial customers in northeast Arkansas, central Arkansas and southeast Missouri with top quality flooring products. With our experienced team, you can trust us to help you find what you need for any room in your home or office. 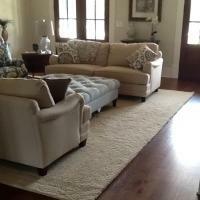 We have a variety of hardwood, ceramic & vinyl tile, laminate, vinyl and carpet flooring in our showroom. Let our staff work with you to transform your home or office with comfortable and affordable flooring throughout! So stop by our showroom today to browse or call for a free estimate! See What Brands We Carry! 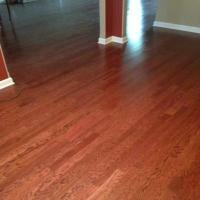 Give your home or office a warm and elegant look with hardwood flooring provided by Warehouse Flooring in Paragould, AR! As a durable hard surface, hardwood flooring can be easily maintained with basic sweeping and dry mopping. With an assortment of colors and styles available from a selection of brands, Warehouse Flooring is your one-stop shop for all of your hardwood flooring needs. If you're looking for carpet for your home or office, Warehouse Flooring has a carpet choice for every style and budget. With a variety of comfortable, durable carpet available with a softness you can feel, our carpet selection is versatile for any room or hallway for your home or office. If you are interested, feel free to stop by the showroom today or call for your free estimate! Looking for flooring for your kitchen that is both elegant and can easily cleaned? Try vinyl! At Warehouse Flooring, vinyl flooring makes a perfect choice for areas such as kitchens since it is soft underfoot and essentially waterproof. Have pets? Their accidents and muddy paws are no match for this durable flooring material. With easy cleanup and no wear and tear from cats and dogs, vinyl is a great option for utility areas, bathrooms and even hallways. 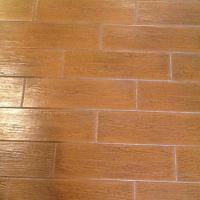 Tile is a popular material known for its versatility, easy maintenance and hygienic qualities. 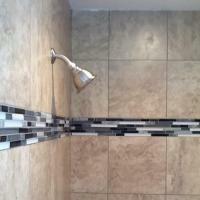 Our selection of ceramic and vinyl can be used in an assortment of residential and commercial ways. From an intricate mosaic to large format tiles, this material can be used from floors to decorative art work. With an assortment of colors, designs and textures, take a look at the many design possibilities available when you buy tile from Warehouse Flooring! With our selection of laminate flooring, we provide an affordable solution to closely emulate today's most popular hard surface flooring. Not only does this flooring material offer great textures and designs, laminate is a great pick due to its improved durability, easy maintenance and affordability. Since it's specially engineered with layers, this material can be installed almost anywhere in the home or office over many types of existing floor coverings.